Author. Publisher. Website Designer. Graphic Designer. Video Editor. Poet. Writer. Christian. These award-winning educational children’s books will make excellent additions to any library or family bookshelf. These stories will teach children all sorts of life lessons and knowledge that can benefit them. Owls need to be taught how to hoot. How petrified wood is made. Ducks fly south for the winter. Each Hamilton Troll book tells a fun story about the topic or character that he meets. These rhyming stories have a fun bouncy rhythm that helps teach children how to read the fun way. Because these stories rhyme, if a word is used that may be considered above the reading level, it is defined at the bottom of the page so children will learn a new word or phrase. 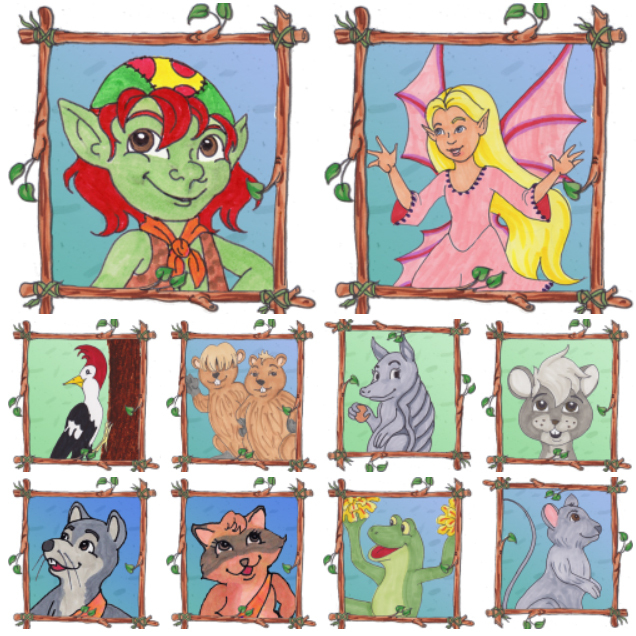 With the additional educational content that is skillfully crafted into the stories and the fun games that are added, like ‘Find Pink Light Sprite’ or ‘How many trolls are there?’ these stories will bring hours of fun and repeat reading for years to come. There are 12 books in the ‘meets’ series plus a coloring and activity book, and soon, a curriculum book and a cookbook for children. We are also anticipating taking Hamilton on a trip around the world by beginning the ‘visits’ series which may even include an ‘America’ series. Hamilton Troll is just getting started!! Learn more about each book – or buy them today! We’ve developed multiple educational activities for children including the curriculum, language arts, math and science worksheets to continue the education in the classroom or home-school environment. There are reading comprehension quizzes for each book, crossword puzzles and word searches, even mazes, so it is always fun to work with Hamilton Troll. 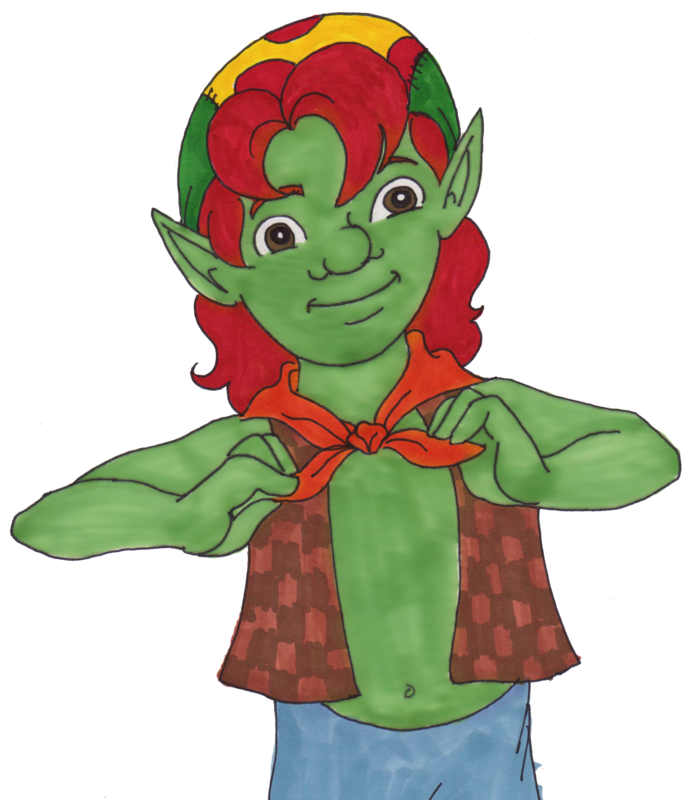 Troll TV is a collection of videos that showcase Hamilton Troll, his friends, some of the fun they have, as well as puppet and children testimonials, interviews and discussions with the author and of curse, book trailers and songs! Hamilton Troll meets Rudy Rat presented a unique perspective on bullying from a younger child’s position. Rudy didn’t know the proper way to get another child’s attention so he poked fun at them and laughed. When the children go to Hamilton Troll, he realizes that the children need to take charge. They need to let Rudy know that he can’t do those mean things to them, but instead, they’d like him to join them in their fun and games. This book not only teaches children how to make friends but how to deal with difficult situations through teamwork and understanding. A great new take on bullying and how to resolve the issue. When Hamilton Troll meets Elwood Woodpecker, Elwood has just discovered petrified wood the hard way. Sitting there with a headache, Hamilton learns who woodpeckers drill holes in wood and then determines that they should learn more about this stone-wood substance. When they visit the beaver brothers they learn about Beaver dams as well as how beaver teeth are constantly growing and they get to take all of that knowledge, including how petrified wood is made, and in-turn teach it to the other forest animals. This book makes the lessons easy to understand and children tend to not even realize how much they are learning when they read it. A great educational experience to take outdoors! When Hamilton Troll meets Barney Bee curiosity and imagination takes over. In this story Hamilton hears the loud buzzing of bee frolicking to and from various wildflowers and so he strikes up a conversation with him. Throughout the story, Hamilton learns that bees are colorblind – they can’t see the color red, and that male drone bees don’t sting. Hamilton also wonders what he would do if he had wings, where would he go, what would he see? The story takes a turn when Barney lifts off a flower and promptly drops to the ground. The message of eat right and exercise is touched upon. At the end of the book, the author showcases the various Texas wildflowers Barney visited in the story and provides their names so when young children see those flowers in bloom they will be able to point them out. A great book for springtime. This article discusses Hamilton's origins, his intelligence and behaviors, roles with humans, physical characteristics and more. Each character has something to offer, did you know facts and more. Hamilton Troll Cookbook wins TWO Awards! !